Looking to share your research project online via a blog or social media but not sure where to start? I often get asked how you blog. So here's a post with some hints, tips and how to get started with a blog. I think blogging can be an extremely useful tool but it isn't for everyone, it is hard work and can be extremely difficult to do well. There are also risks involved and it usually isn't the best way of engaging with the public. Researchers can blog for a number of reasons. It could be to share work with a wider audience or to share it with peers and there's plenty of folk (myself included) that blog about working as a researcher in a general sense. These posts are mostly read by other researchers. I found blogging through my PhD quite therapeutic and it helped me make a few new friends along the way. Why do scientists work in strange cabinets...? Scientific laboratories are often surrounded by strange cabinets or 'hoods' which researchers work in...but why? 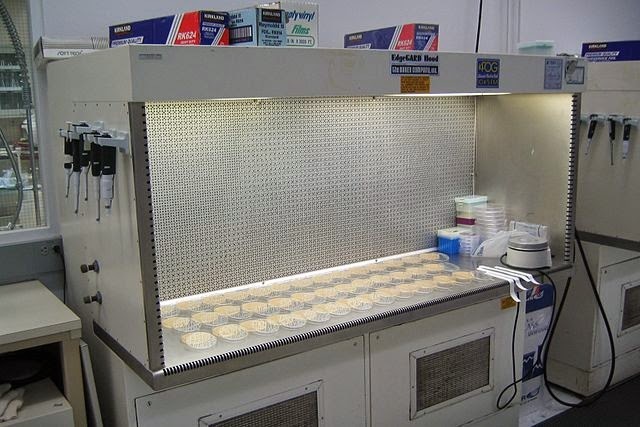 *please note I was approached to post this blog post and there is a disclaimer at the bottom* I worked under a hood when working with my cell cultures during my PhD in order to keep the cells sterile and avoid contamination and infection of the cells. These sophisticated systems were initially developed for the aerospace industry in order to control dust contamination that could negatively impact on the reliability and precision of parts.